We sell all kinds of residential real estate: old; new; traditional; condos; multi-families; large Victorians; tiny Capes; Colonials; and yes, Mid-Century Modern. But sometimes we have to remind people that less than half of our overall sales (over $40 million annually) come from Modern homes. As we say over at the About page, the ModernMass brand grew from a blog we started a few years into our real estate career. 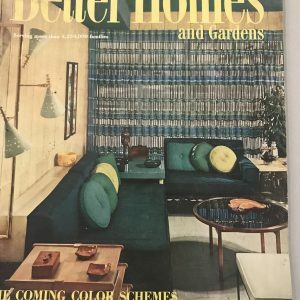 We loved Mid-Century Modern, as well as relatively rare new Modernist architecture and felt we should be the ones to tell the story of this history in the Boston area. When we started, these sorts of homes were devalued by most of the brokerage community. In the process of writing about the history and presenting these homes properly, we have added market value to such properties. Quite quickly we became recognized for these efforts and our professional approach and sellers of those other more traditional styles of houses saw that we brought the same level of detail — top-notch photography; lucent and compelling descriptive writing; sharp market data analysis — to marketing their homes. And buyers come to us for our decades of experience. John and Bill both started selling real estate around 2001 and formed a team circa-2006. We love working with both buyers and sellers, though never in the same transaction. We among only a handful of agents who refuse to practice “dual agency,” which though legal, presents potential conflicts of interest. 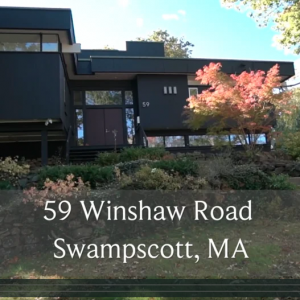 Yes, we are the only experts in Modernism in New England. But though our competition might mislead you otherwise, we are much more than that. Our record speaks for itself and we would be happy to share it with you. Open House Schedule for Sept. 22 and 23 New Video of 59 Winshaw!